A selection of ALVR’s jewels have recently been featured in “Romancing the Stone” by Yahoo! Style, “a month by month guide to the most beautiful stones for giving and getting.” Each month features a coordinated spread of jewels and flowers pertaining to each month. 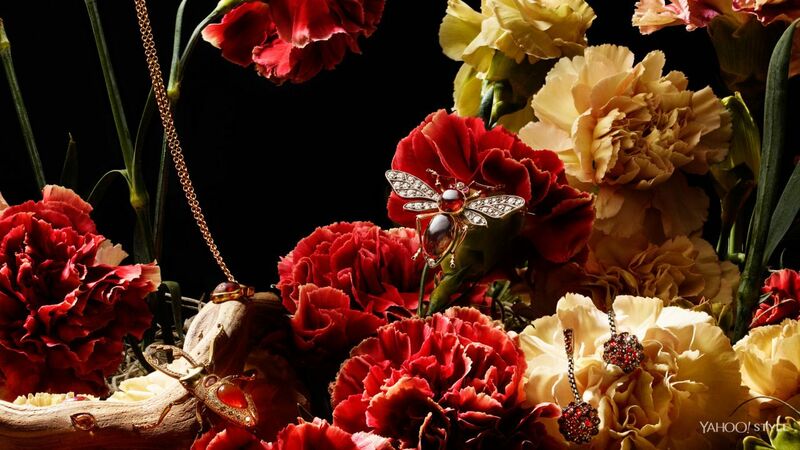 To list a few: for January, our red garnet (and diamond) bug brooch pollinates a red carnation, for May, our green garnet (and diamond) snake brooch slithers among lilies of the valley. Other ALVR jewels appear in the February, April, July, August, and December spreads. For a look at nature’s finest accessories, see the full story here.